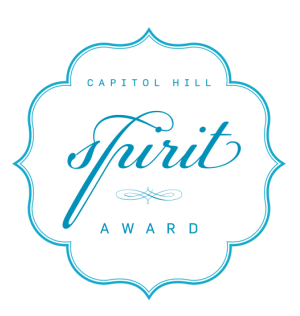 The Spirit Award is presented to a Capitol Hill community member who has done outstanding work to benefit the Capitol Hill neighborhood. Nominations are made by the full Chamber membership and voted on by Board of Directors. 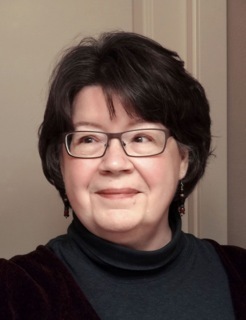 Kay Rood, a longtime Capitol Hill neighborhood business owner and community organizer, has been named the recipient of the Capitol Hill Chamber of Commerce’s 2013 Spirit award. The Spirit award is presented to a Capitol Hill community member who has done outstanding work to benefit the Capitol Hill neighborhood. Kay Rood founded Groundswell Off Broadway as an organization to bring the current Cal Anderson Park to fruition from its former lackluster state. Kay wondered why eleven acres of parkland in the heart of Capitol Hill’s densest neighborhood were so neglected that they resembled a dusty prison yard. Her relationships with her neighbors, her artistic and community vision, and her tenacity over more than a dozen years of work revived a landmark Olmstead Park to honor the legacy of Cal Anderson. Cal was the first openly gay legislator in Washington, our widely beloved State Representative and State Senator who died of complications from AIDS in 1995. Once the Park was restored she created the Cal Anderson Park Alliance to steward the Park. Overall, Groundswell put in twelve years and worked with three different city mayors and their administrations to advocate, raise funds, lobby, plan and help transform the park from an open reservoir surrounded by chain link fence and an dusty running track into the gathering place we have today. Kay and Groundswell elevated the discussion around undergrounding the reservoir into a re-conception of the original Olmstead Plan for the park, construction of a new Shelter House, and adding a magnificent water feature by noted sculptor Douglas Hollis. Kay began her Seattle framing business in 1979 in an East Pike Street storefront between a tattoo parlor and a garage. Eight years later she moved into a 1902 house five blocks away at 922 East Denny Way in the heart of Capitol Hill, realizing her “zero-commute” dream of working and living in the same building. She cultivated her home, shop and garden there for twenty-one years until she was displaced to West Seattle by construction for the Capitol Hill light rail station.